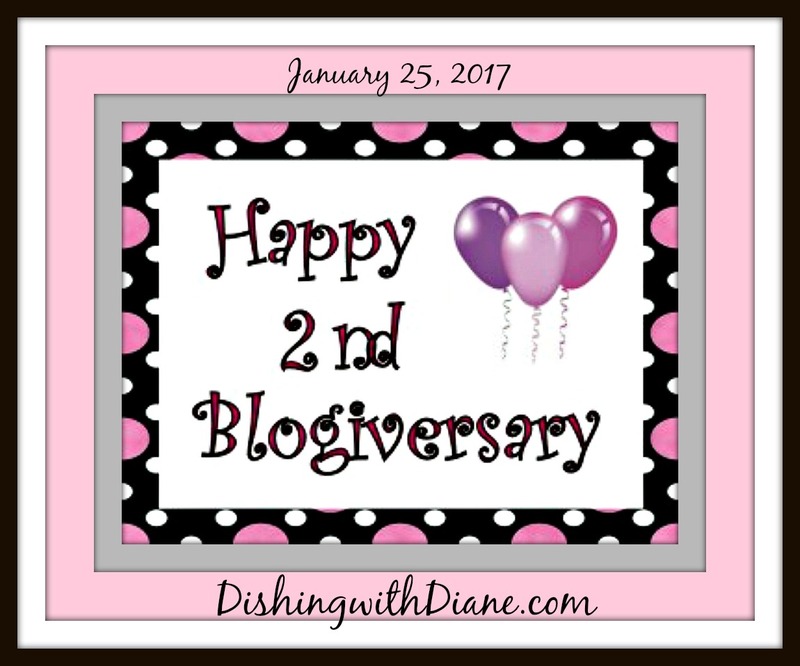 I am so excited that DishingwithDiane.com is TWO YEARS OLD today. Wow, what a journey. I can’t believe that two years have passed. As the saying goes, “it seems like only yesterday” that we started. 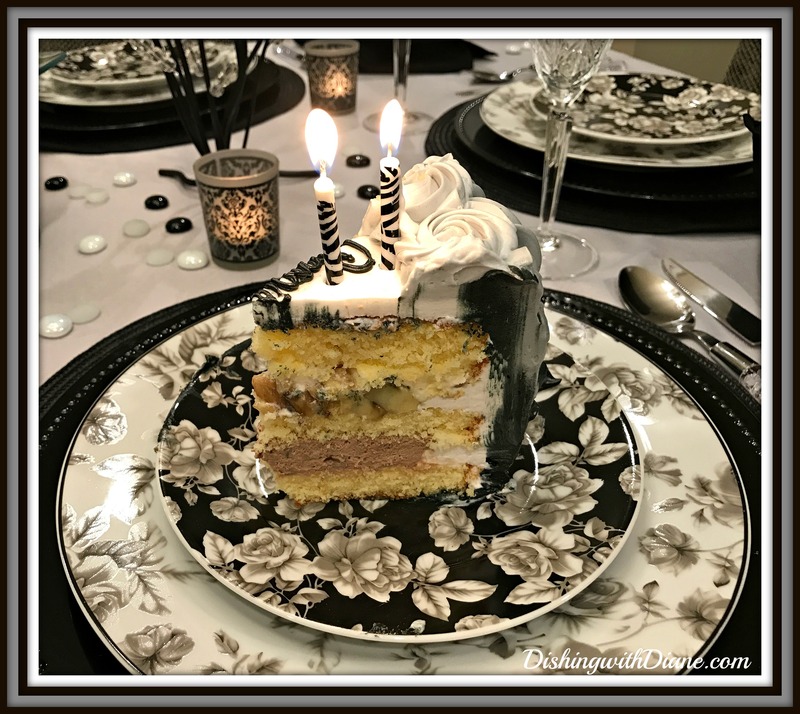 I have had so much fun sharing my tablescapes, family stories and recipes with you these past two years. 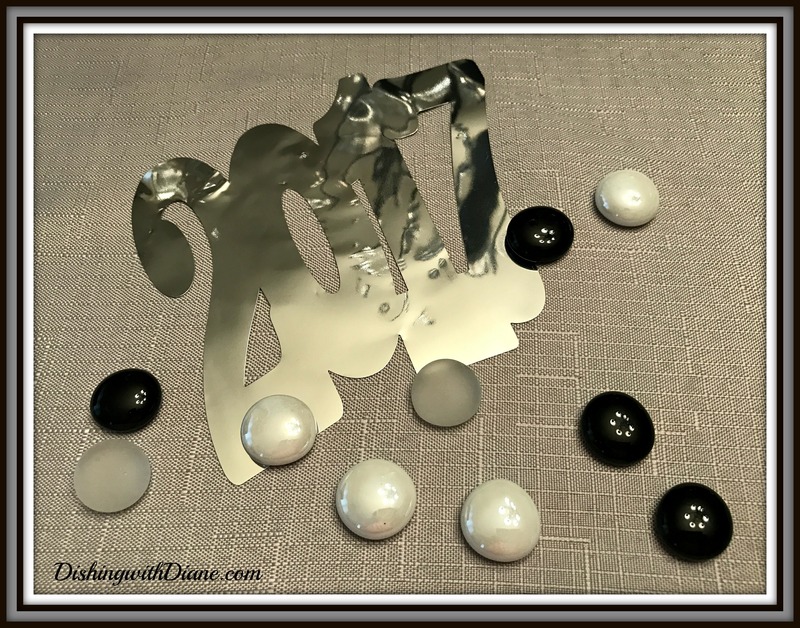 I want to thank all of the DishingwithDiane members for your support and for sharing and spreading the word about the blog as we continue to grow. Please continue to ask your family and friends to follow, like and share DishingwithDiane.com so they will never miss a post. It is just wonderful for me to have so many new friends in my life and receive so many comments about the blog. Continue to send me your comments, I love hearing from you. 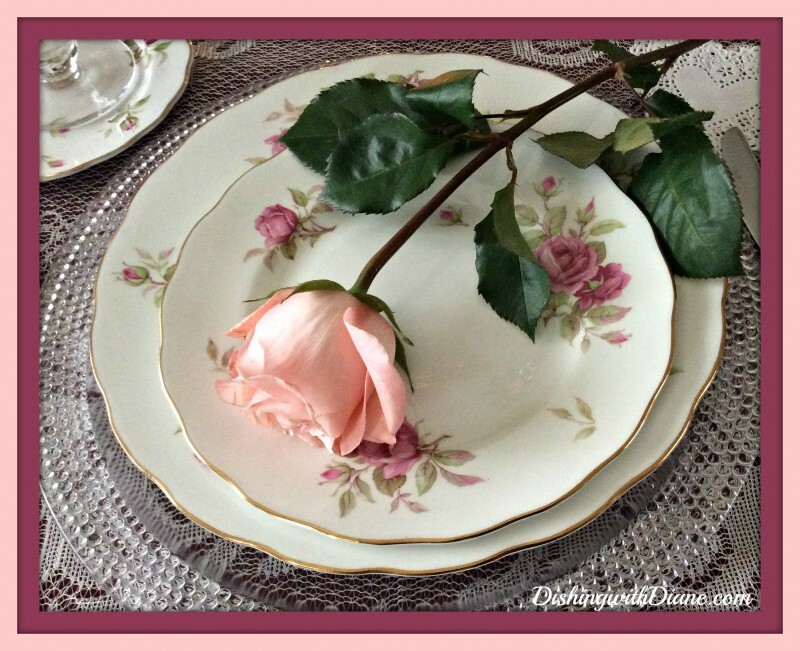 I hope that I have inspired you to try a new recipe or given you ideas to create your own tablescapes. 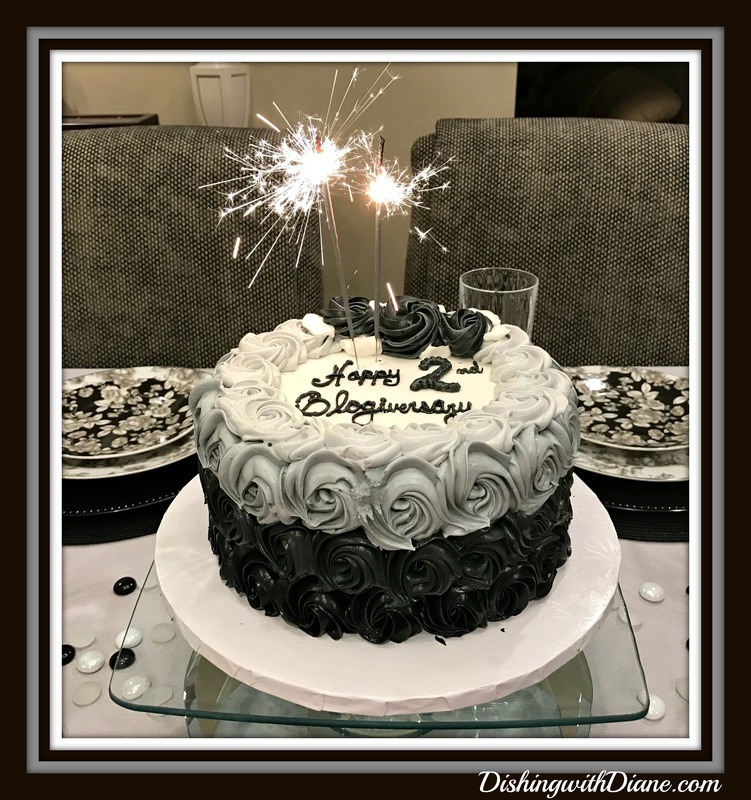 So now as we start year number THREE, let’s have a celebration! 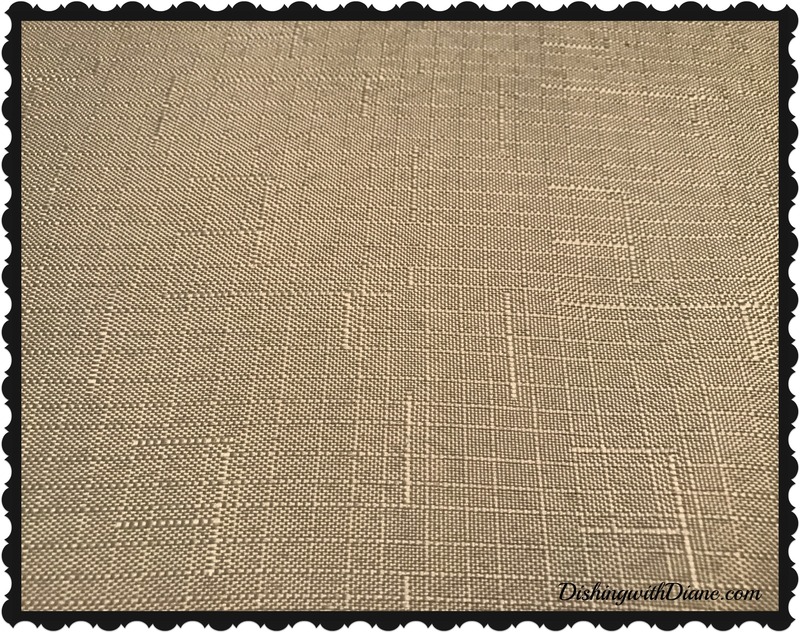 I am starting out with a light dove gray tablecloth. 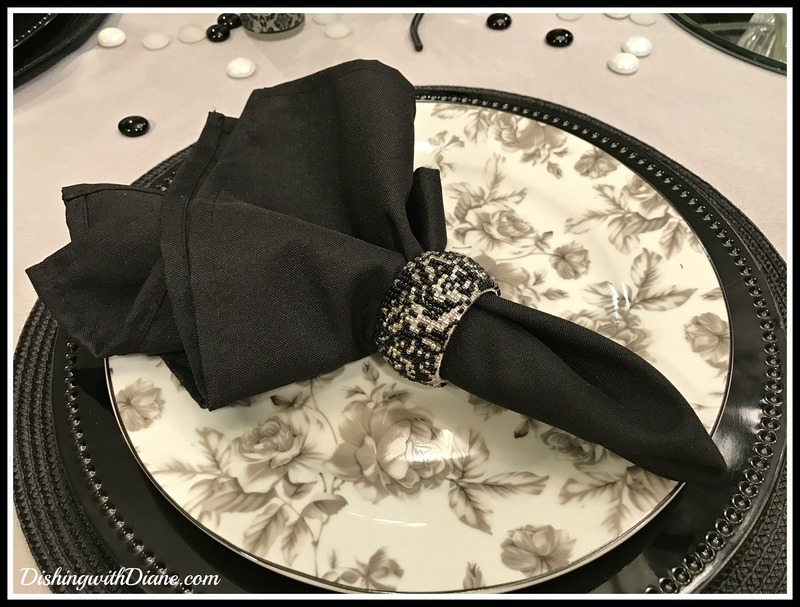 The napkins are black and the napkin rings are silver and black beaded. The sparkle the napkin rings adds to the table is perfect for a celebration. The placemats are black woven and I am using black chargers as well. I wanted the focus to be only on the dishes; plus I love the beaded detail around the edge of the charger, it highlights the plates. 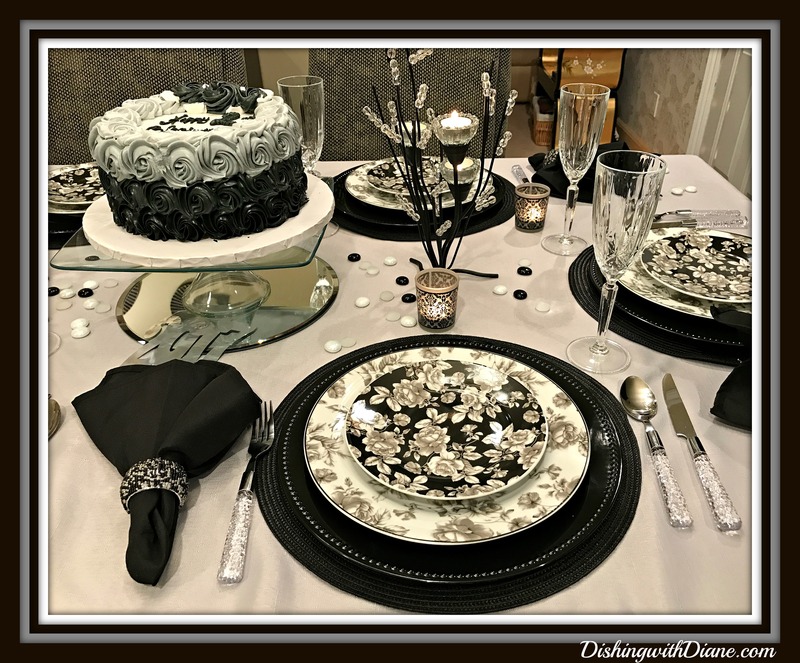 The dishes I chose for this occasion are by Isaac Mizrahi and the pattern is Madison Bloom. 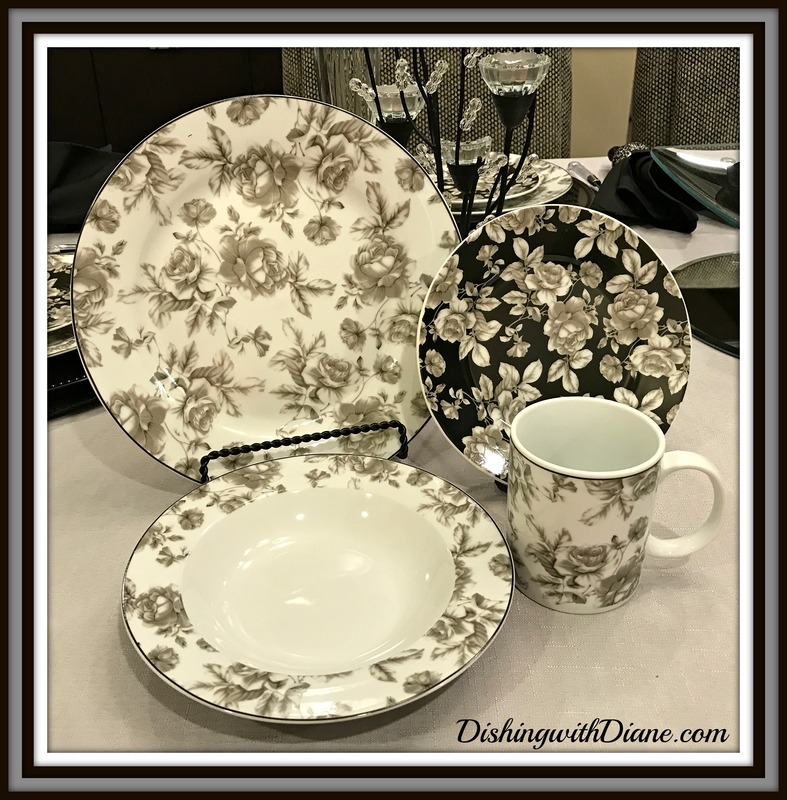 They are porcelain and feature a very soft and muted floral design. 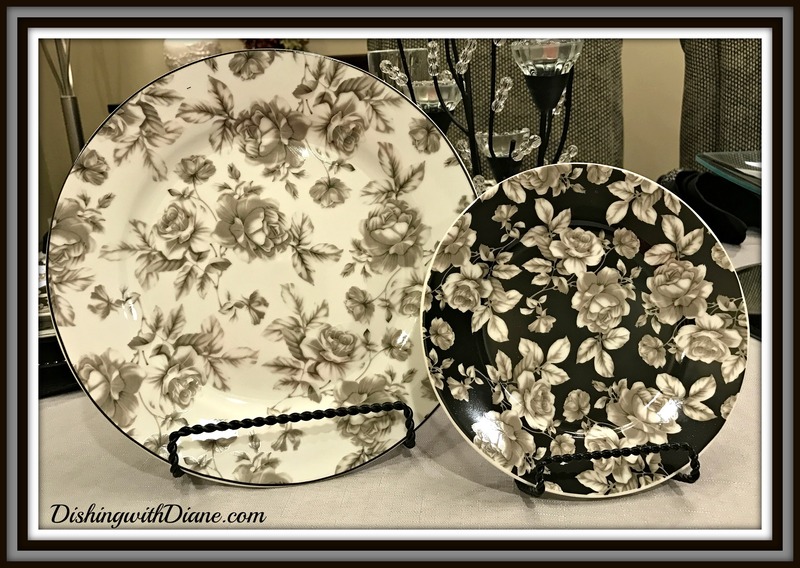 The dinner plate and salad plate feature the same soft gray floral design with different color backgrounds. 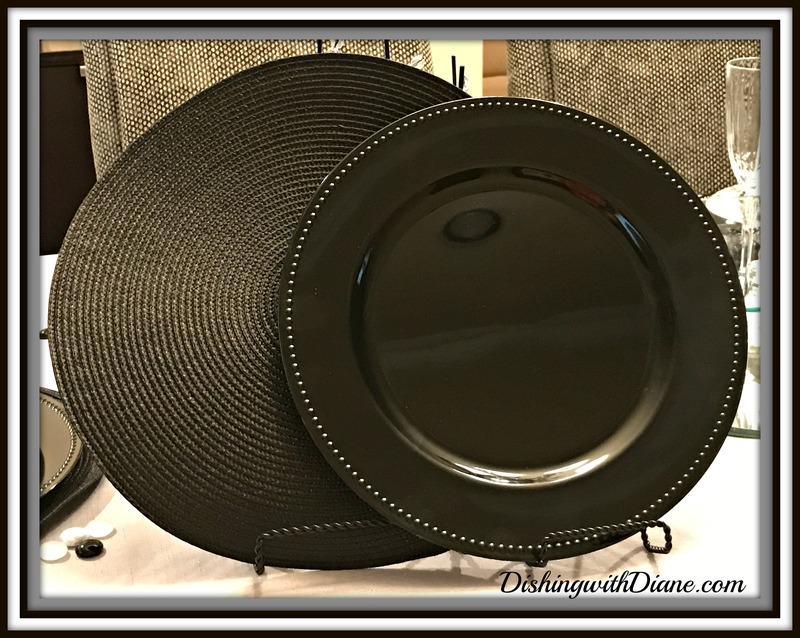 The dinner plate background is in off white and the salad plate is in black. 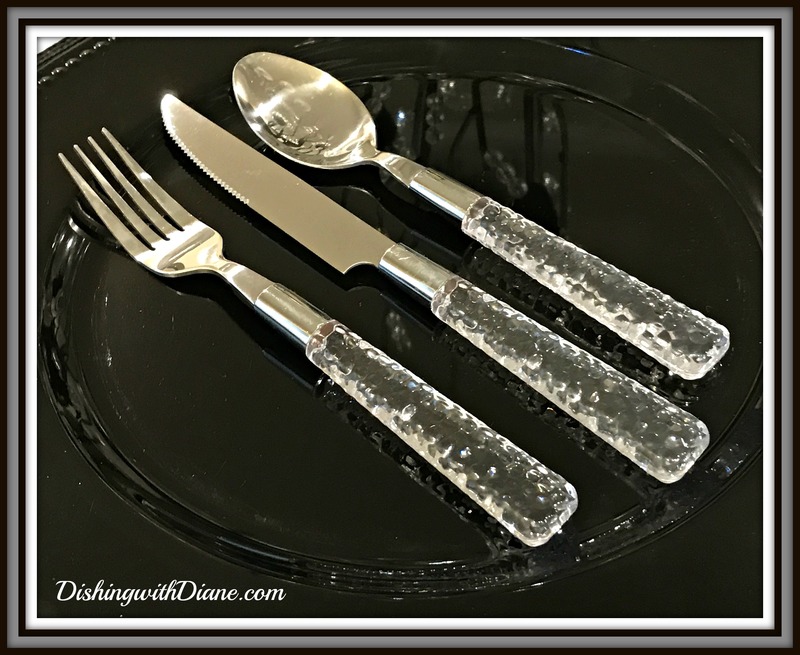 The flatware is acrylic made to look like crystal to coordinate with the stemware. And once again, I am using my Waterford crystal champagne flutes. 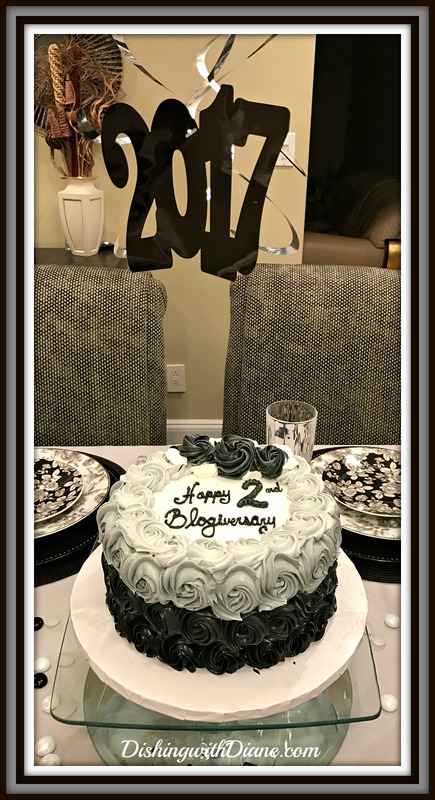 I just love my second year blogiversary cake so much, that I decided to use it as my centerpiece. The cake highlights the dishes perfectly. 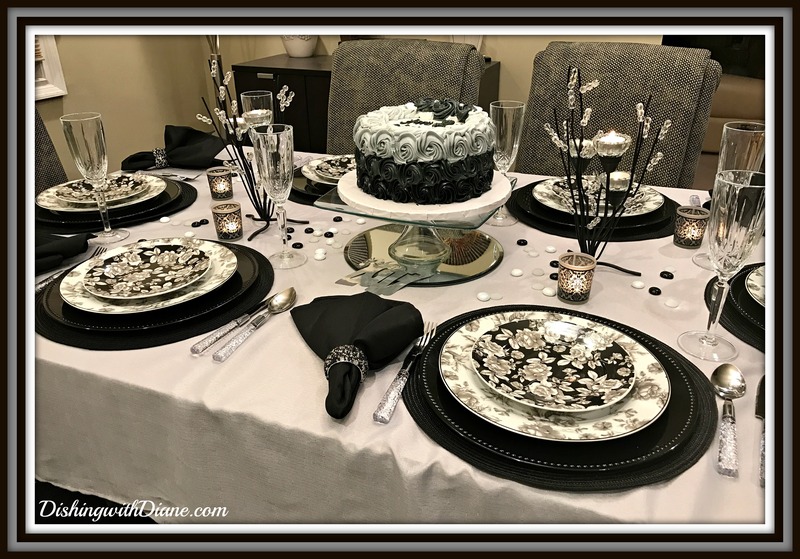 Three tiers of rosettes in black, gray and white to match the floral pattern on the dishes. 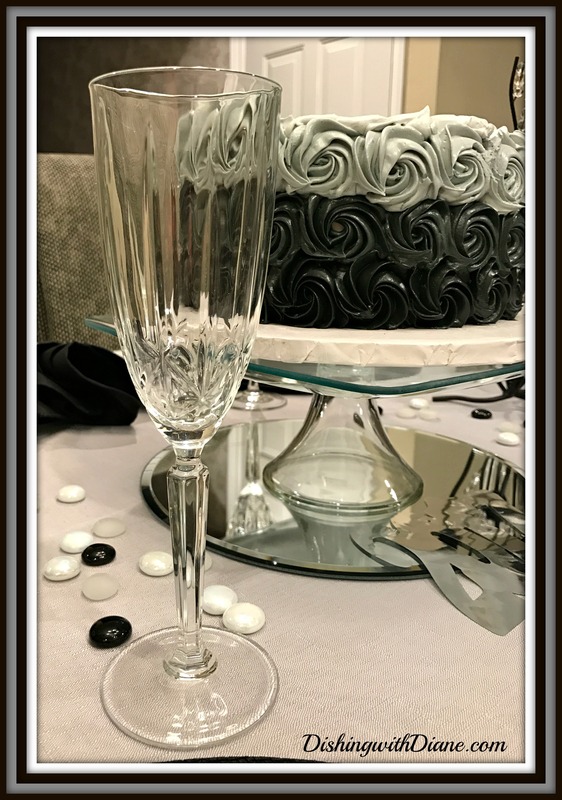 The cake plate is clear glass. I didn’t want any color to interfere with the rosettes. I am displaying the cake plate on a mirrored disc for a little more sparkle. 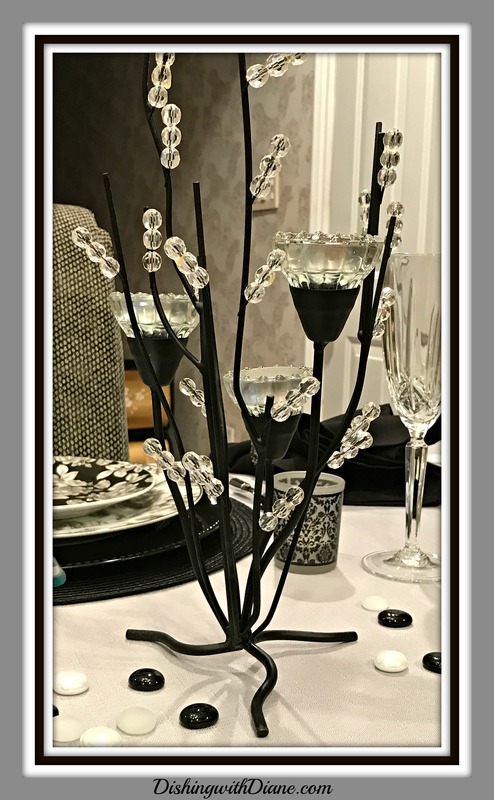 You know I love candles and to go with this tablescape, I am using a pair of black metal and crystal tree tealight candle holders with cup shaped blooms. I wanted to use these to continue my floral theme. 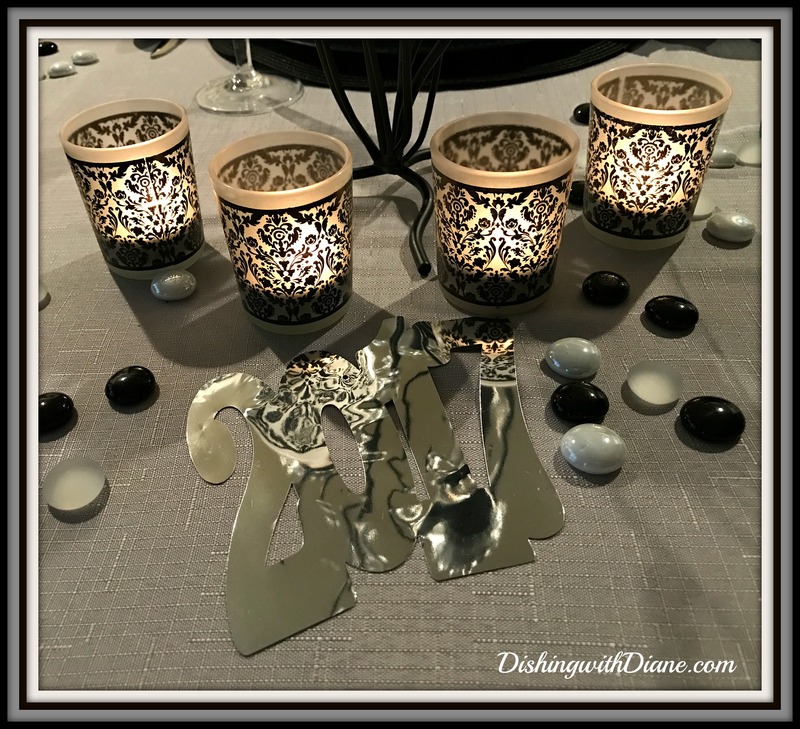 The more candles the better as far as I am concerned, so I am added a few black and white “damask pattern” votive candle holders to add a soft glow. 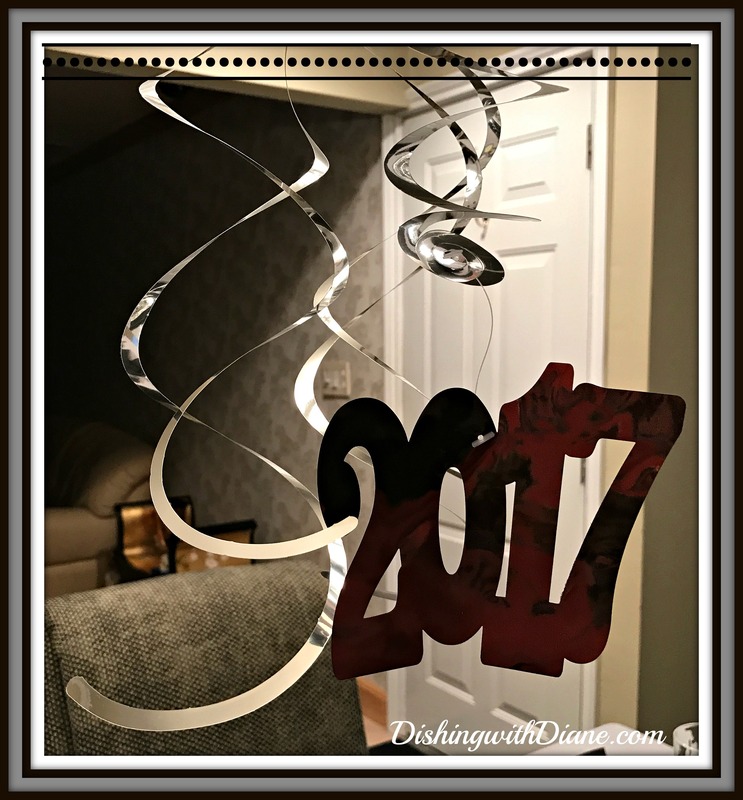 A few pieces of black, pearl and gray table confetti and some 2017 party danglers for the chandelier and the table looks complete to me now. A bottle of prosecco to accompany the cake and we are all set for another celebration. This year the filling is chocolate mouse and banana creme with fresh bananas. Once again, I am truly grateful to all of you for allowing me to share my passion with so many new friends and members. With each bite of this anniversary cake, I will be thinking of all of you and your support and well wishes throughout the year. 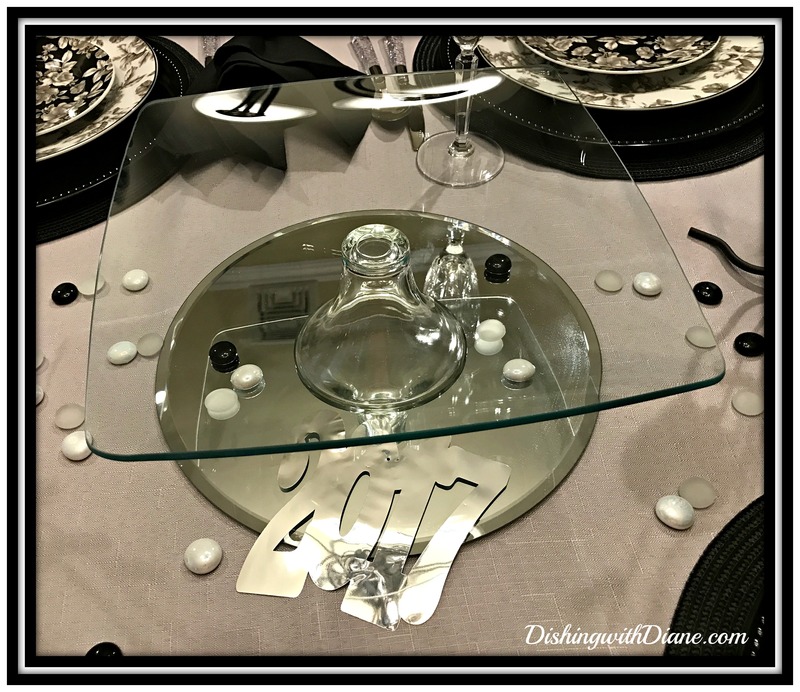 On to year THREE of tablescapes, stories and recipes…. 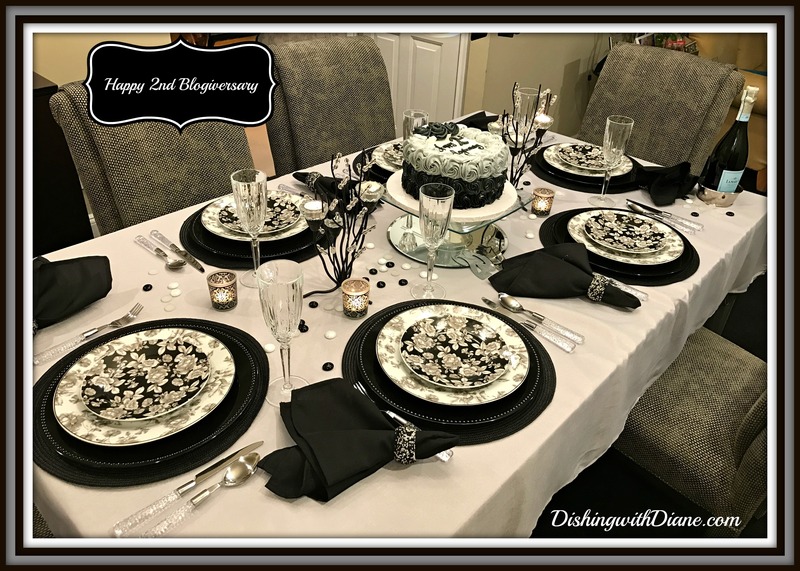 This entry was posted in Dishing with Diane Blogiversary, Special Occasions on January 25, 2017 by aries041158. 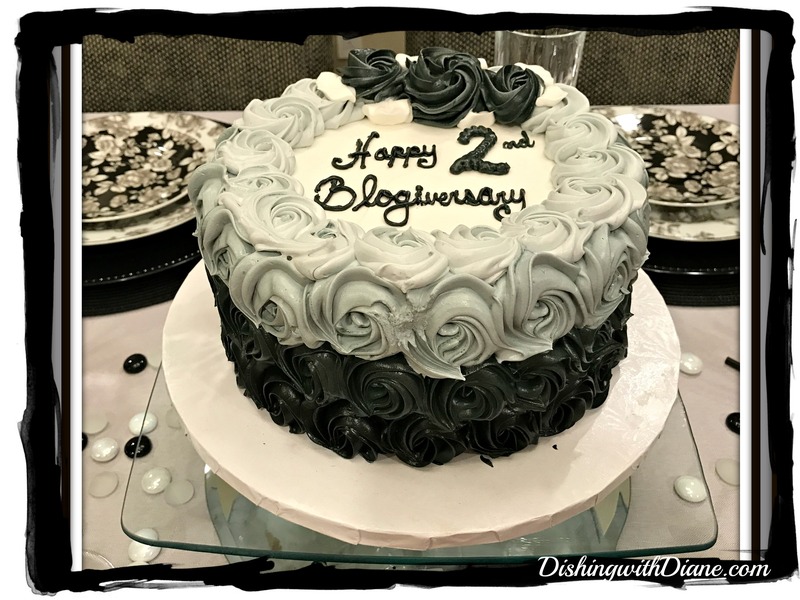 Happy two year Blogiversary. That tablescape is stunning! Thank you! Do you believe it has been two years? Thanks for your support. Beautiful. 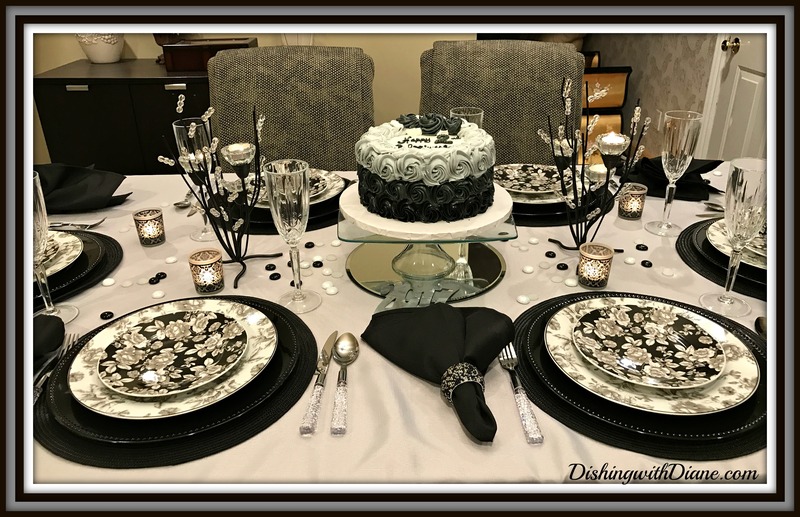 ….Love the dishes and the cake looks delicious. Happy 2nd year. Looking forward to your new blogs and recipes. Thank you Diane for all your support these past two years. The cake was banana creme and chocolate mousse. I wish I could share it with you. The cake was fantastic! I have never had a cake from Alpine that I didn’t like. When you visit NY you have to stop in to that bakery. Sounds good. Where is Alpine bakery. 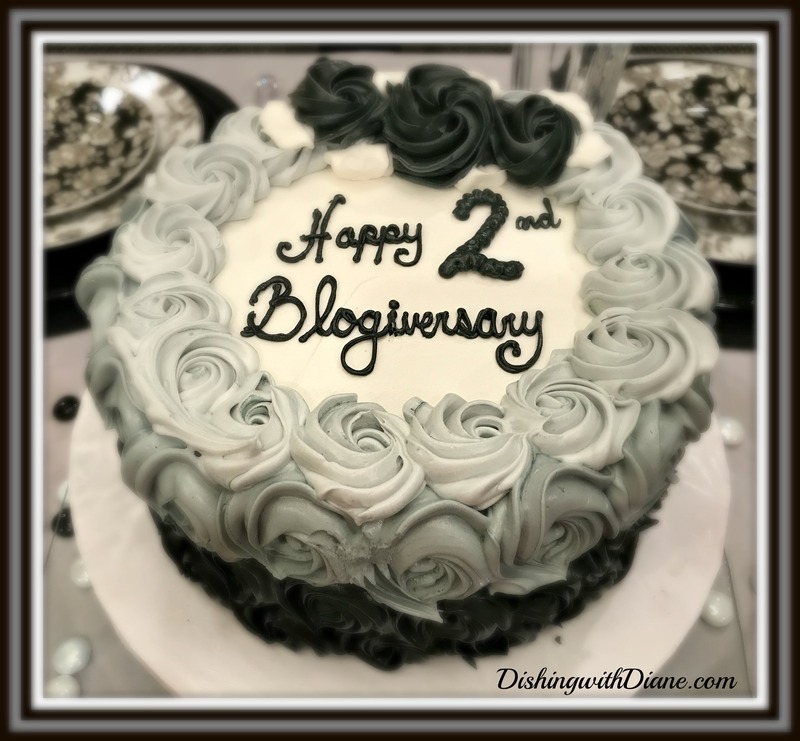 Diane, Congratulations on two successful years of Blogiversary! Your posts are so elegant and lovely! CHEERS to year #3! God Bless you for sharing your love of tablescaping with us! Your posts make us HAPPY!!!!! Happy 2nd Anniversary! Your table is fabulous! Thank you, I am so glad that you enjoyed it. More tablescapes and recipes to come. Thank you Ellie. I am so glad that you enjoy reading the blog as much as I like putting it together. It makes me so happy to share my passion of tablescaping with so many. Thank you for all your support and lovely comments these past two years; you are a wonderful friend. Congratulations on 2 great years ! – best wishes for more & more creations to come !!! Thank you Jeanne. I am really enjoying the blog. So glad that you are a member.